I didn’t cry when Bambi’s mother died. I was fine at the end of Titanic. In Godfather Part 2 when Michael ordered Fredo’s death… ok maybe a little. We fellas, we’re not great at getting emotional. 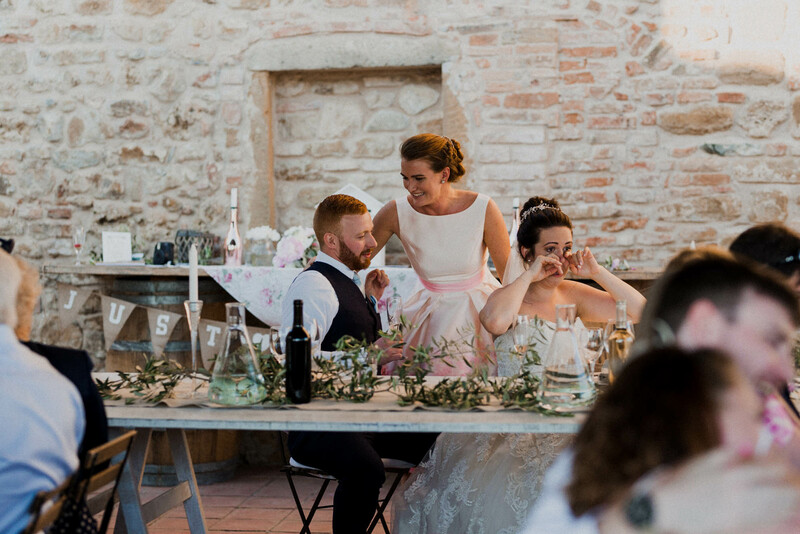 I’m here to tell you that it’s OK to cry on your wedding day. In fact, it’s a really good thing. 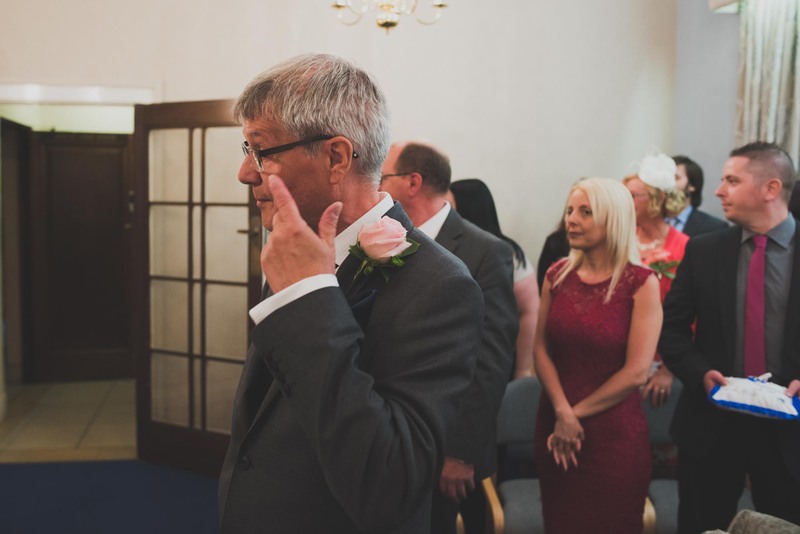 This article is part of a series exploring the wedding day from a man’s perspective. 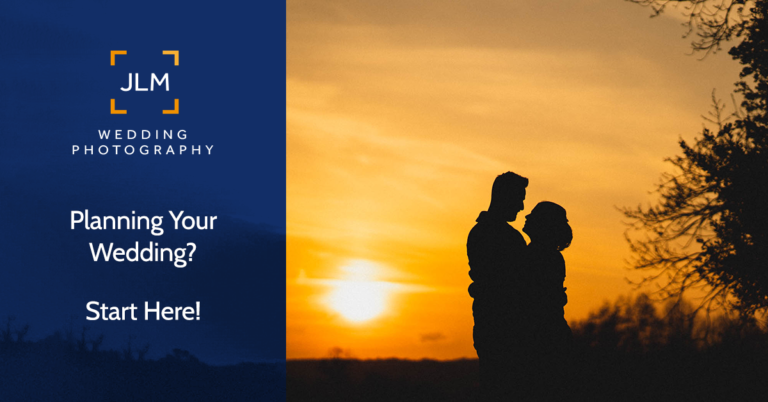 Oh and I’m also a wedding photographer, when you’re done reading this and are in search of a wedding photographer you could have a poke around my site and see if my style (and price) suits you. 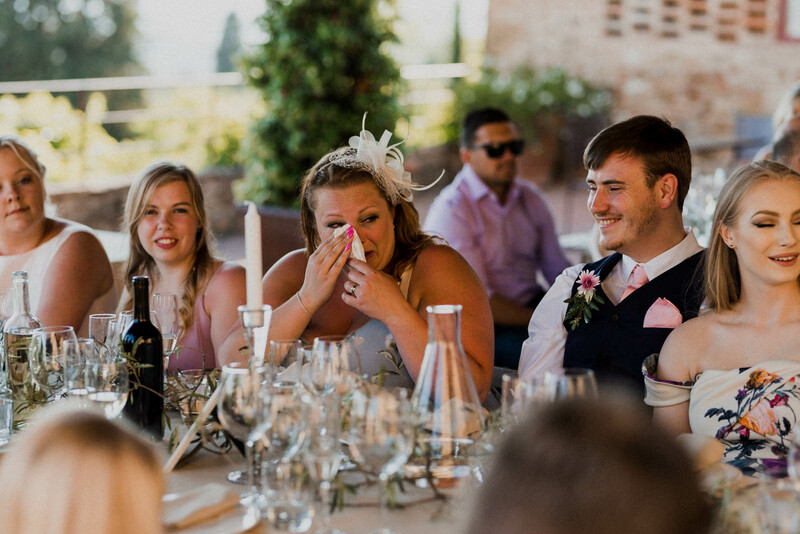 Women cry at weddings, that’s just a thing they do. Women cry quite a lot more than men do. From what I can gather they think that crying is a normal thing to do, healthy even. So when they never see guys crying they think something is wrong with us. 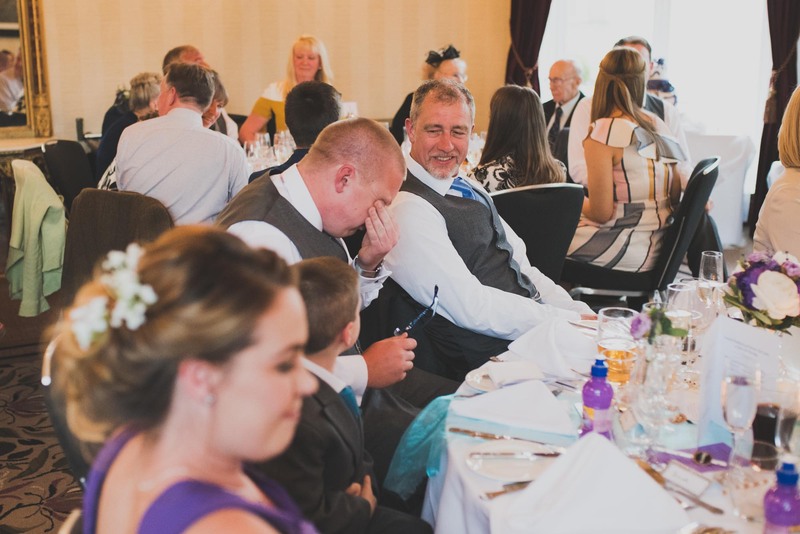 That’s the first reason why crying at a wedding is a good thing. Let’s start out with what guys do best, make lists. 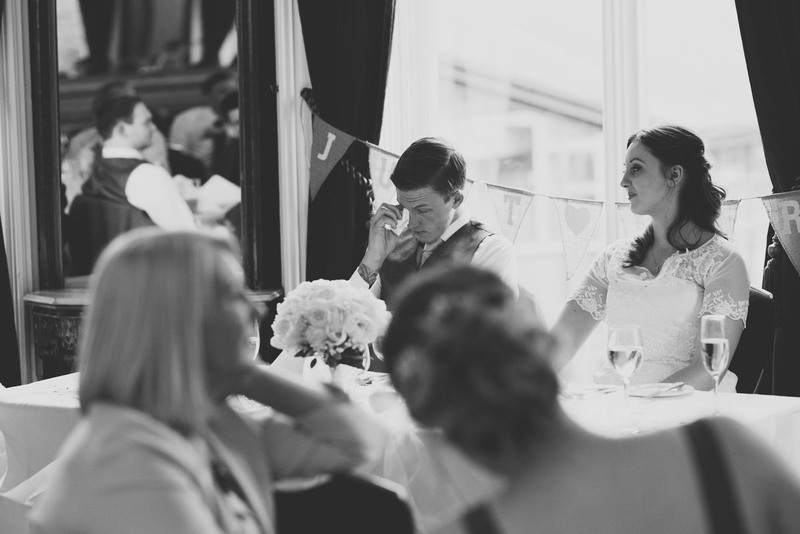 Here is my list of all the points during your wedding where you may feel ‘the tingle’. I know what you’re thinking, not that tingle. Hopefully that tingle will happen later, just don’t get too drunk (pro tip). This tingle is the one that hits you somewhere behind the eyes, and sometimes in the throat too. Let’s face it, anyone looking at you and crying is likely to set you off. When it’s your mum it’s even more difficult to fight it. By this point you’ve been stood in the same spot for quite a while. Your mind is racing… thoughts are flying through your head. Why isn’t she here yet? Will I say the wrong thing? 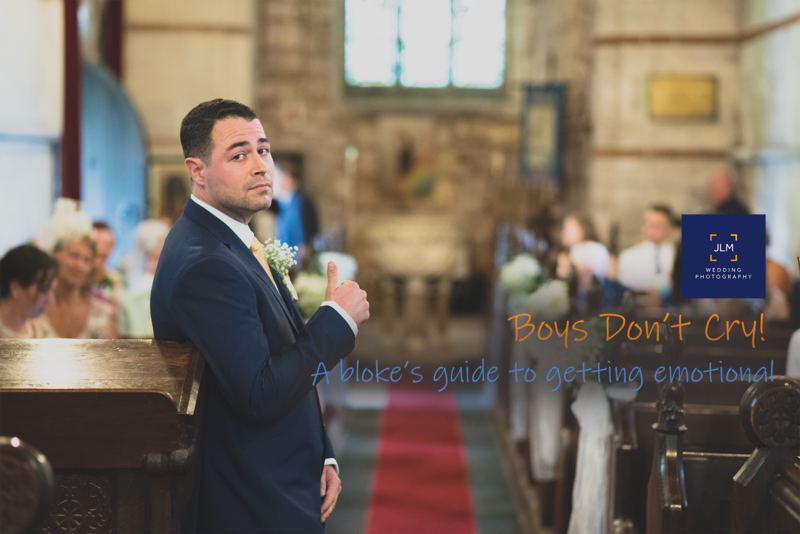 Hopefully your best man will be trying to calm you down and reassure you that everything is ok, but still, you will be nervous. Then the music starts to play. Everyone in the room gasps. That’s the moment and it will smack you in the face like a wet towel. If she’s crying at that point then you’ve got no chance, tingle time. 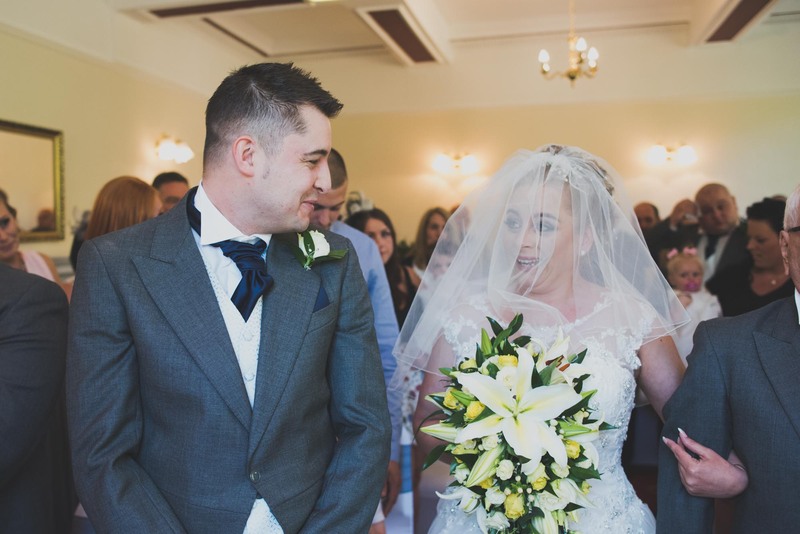 Your best man is probably someone you have known for years and have a very close friendship with. Between fellas these bonds tend to go unspoken. The only time they ever come out is during the best man speech. These rare glimpses into the inner machinations of a male friendship tend to be fleeting, probably because the best man is just as uncomfortable saying it as you are hearing it. 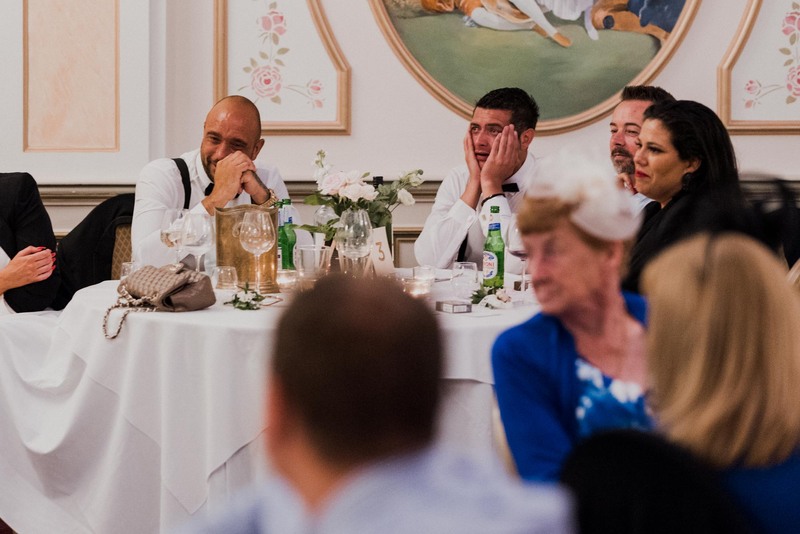 The outpoor moments are carefully sandwiched in between hilarious groom-roasting stories so as to not overwhelm the situation with anything too deep for too long. You may not expect this to happen but I see it at almost every wedding, and if I’m honest it makes me envy how easily women are able to discuss these kinds of things with each other… a little. 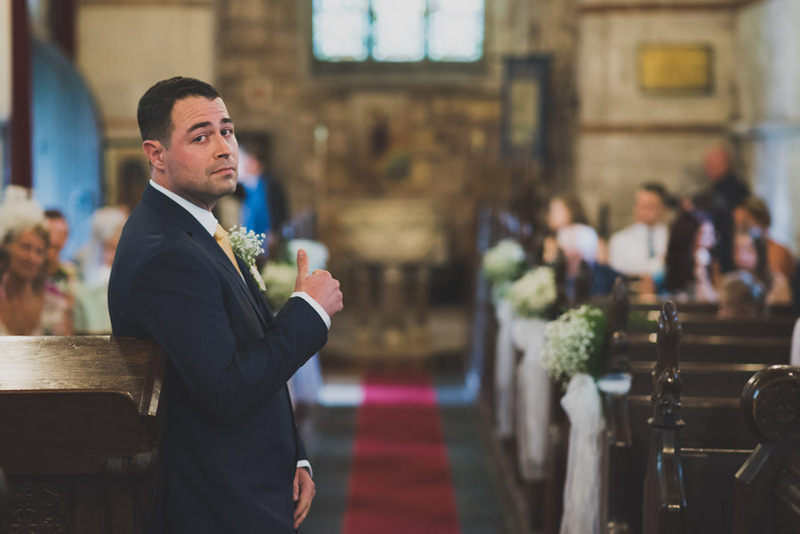 If your best man’s speech involves anything along the lines of ‘you have always been there for me…’ then get a hankie ready. Such outpourings can be pretty emotionally draining on the best man too. I should also mention that by this point you’ve probably had a beer or two plus a couple of glasses of champagne which won’t help. This is the part that always gets me. I may be susceptible to this because I have a little girl myself, so if you are not a parent you might get away with this one. 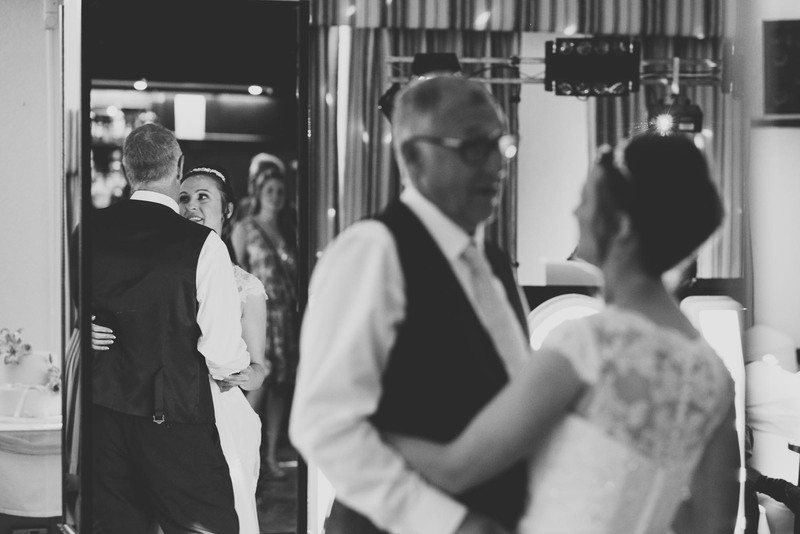 Not every couple decides to have a father and daughter dance at their wedding. Of those who do, many dance to I Loved Her First by Heartland. You don’t have to sit through that if you don’t want to. Basically it’s a Country & Western song written from a father’s perspective, handing his daughter over to his new son-in-law. It’s daft but the lyrics always hit me. I think it’s a combination of being pretty tired by that point in the day plus thinking about my own little girl. The song does exactly what it was intended to do. Every time I hear the line ‘I held her first’ I am taken straight back to holding my baby girl for the first time, hits me right in the feels. In fact even sitting here writing this I’m welling up a little. Man up James, man up. Anyway you may or may not experience tears at this point. I guess you’re on the receiving end of the handover so it’s a little different from your perspective. So that’s all the major points of the wedding day where tears are most likely. This isn’t an exhaustive list and the feels can hit you at any point, it’s up to you to be ready for them. This is one of those days when crying is not only accepted, it is expected. Plus, you will look even more daft if you try to hold them in. Everyone, and I mean everyone, will know that you’re trying to hold them back. Don’t hold them back, let them go and they’ll be over in a moment. From a guy’s perspective, when I see these big blokey blokes shedding a tear I actually feel a sense of manly pride. I see a guy who is embracing his emotions and is not ashamed of them. OK sorry, that was too deep. You know what’s great about being a guy? You can have a good sob and look great shortly afterwards. Grab yourself a man-sized tissue (or kitchen roll if you want to look tougher), wipe the tears away and carry on. Your new wife on the other hand probably paid a professional makeup artist a fair bit of money to have her face painted. All she can do is flap her hands in front of her eyes and hope it dries the tears before they fall. At least I think that’s what they’re trying to do. So there you go. I hope this has been helpful, informative and not too uncomfortable. I am planning on continuing this series whenever I think of more things to talk about so keep checking back. Feel free to share this with your friends, and if you think of an interesting topic that I can cover then feel free to suggest it to me. In between blogging about weddings I also attend a lot of weddings in a photography capacity. 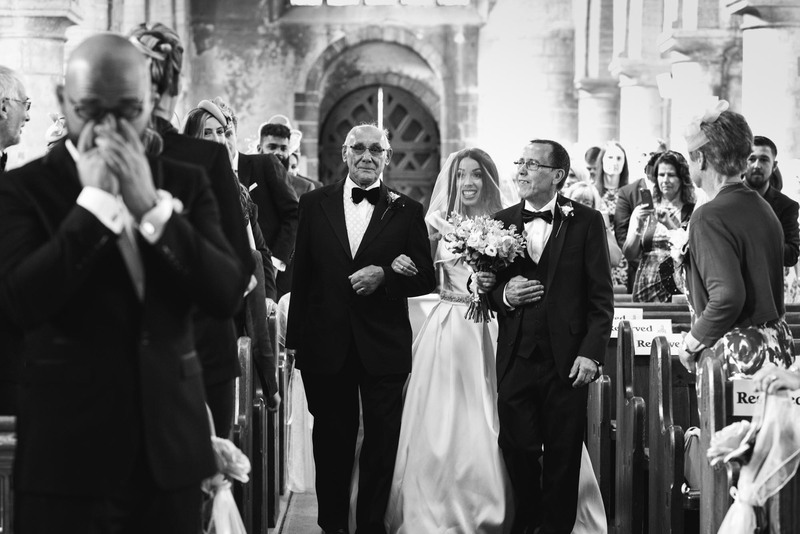 If you would like me to come photograph yours get in touch, see if I am available for you. Thanks for reading, see ya next time.